Well almost as big as a small hummingbird. 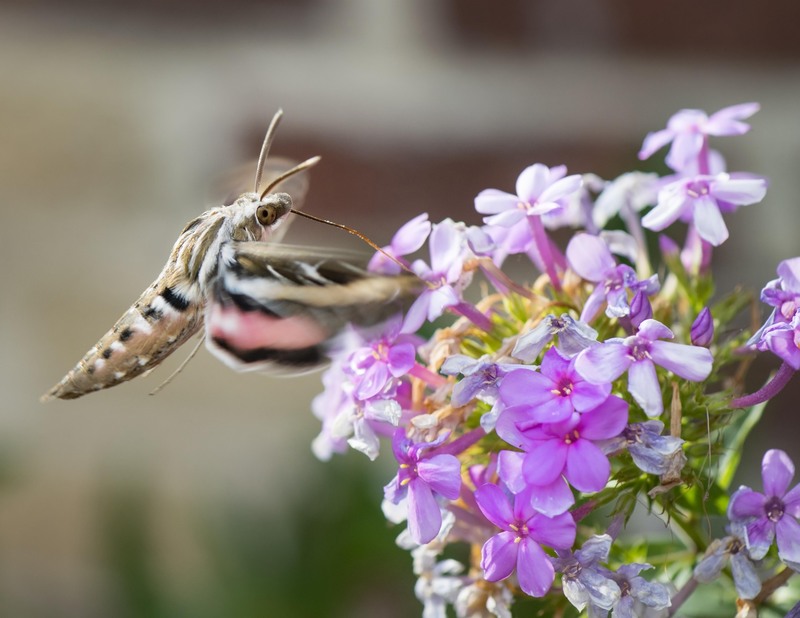 A White Lined Sphinx Moth working it’s way around the flowers for a quick sip of nectar. The length of that tongue is amazing. I’ve seen them a few times. They are surprisingly large and agile. Nice photos you got. HI Jim, these guys visit us once a year for a week or two at most so it is always a special time and yes they are large. Hi Miriam, it is always so fun to have these guys visit and when we can sneak a photo or two all the more special. Thanks and thanks for the feedback as we really appreciate hearing your comments. Wow, you have to be very quick to capture one of these lovely moths. And that you caught the probing tongue is amazing. Great photos Mike. Thanks Jet, it is hard to see the detail until you look at the photos. Given these guys are crepuscular and was dusk we had to turn up the ISO quite high to get clear photos. Beautiful photos. I’ve never seen those moths before. I imagine they’re as tricky to photograph as hummers. HI Alisson, they are quite difficult given their speed and unlike hummers can’t be enticed to a feeder. Hi Fijay, not pulling your leg but they are hummingbird size. Hope your weekend is gong well and thanks for the kind comments as we really appreciate them. Hi, these guys are almost identical to hummingbird in both size and behavior and every time we see one our first thought is hummingbird. Thanks Sherry, we were amazed to recently find out there are about 10x more species of moths than butterflies. Amazing creatures. Moths can be as beautiful as hummingbirds. In fact all of nature is wonderful the problem is most rarely bother to look. Art including photography and painting is the best medium to promote awareness and caring. Hi it is fun when these guys visit. They only seem to show up for about a week or so every summer and favor a specific flower in our yard. 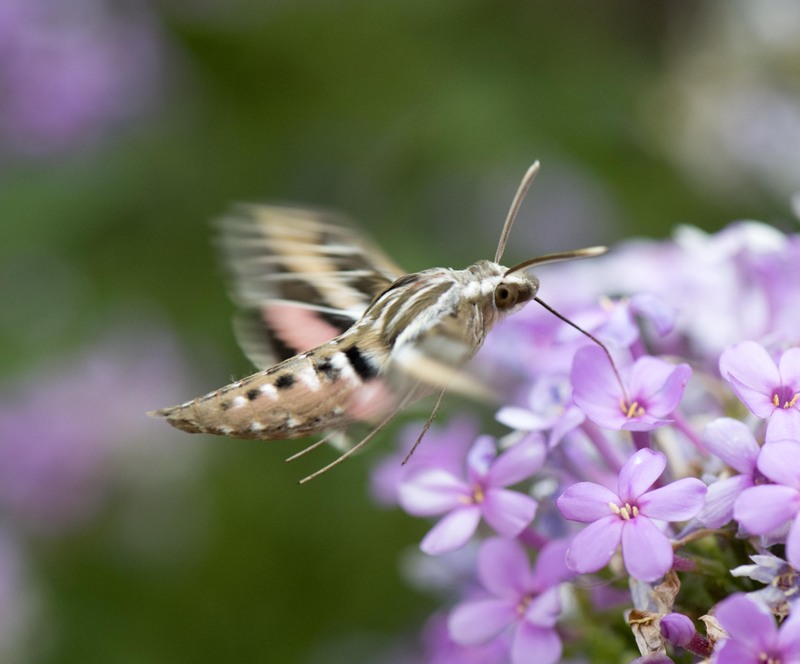 I have been fortunate a handful of times to see the “clearwing moth” (Hemaris thysbe) in our yard. It looks so much like a hummingbird from a distance! I’ve never seen the one you photographed. Very nice! 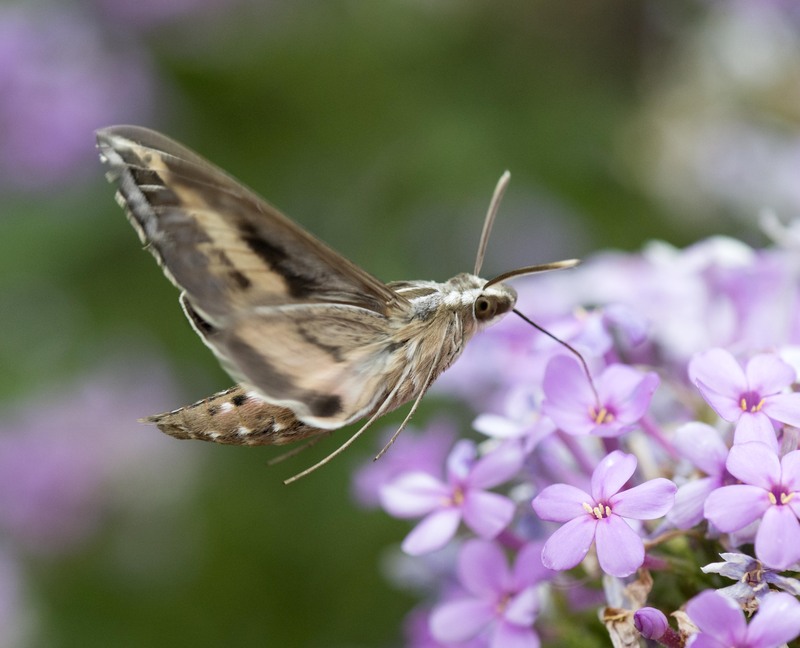 HI Marry, we have never seen a clearwing in nature only on the internet when researching other large moths. It is amazing the size some of these moths can attain as well as being able to fly like a hummingbird.